For members who were unable to attend the January, 2018 meeting, please see the attached obituary for our esteemed and beloved colleague, Bob Heiserman. 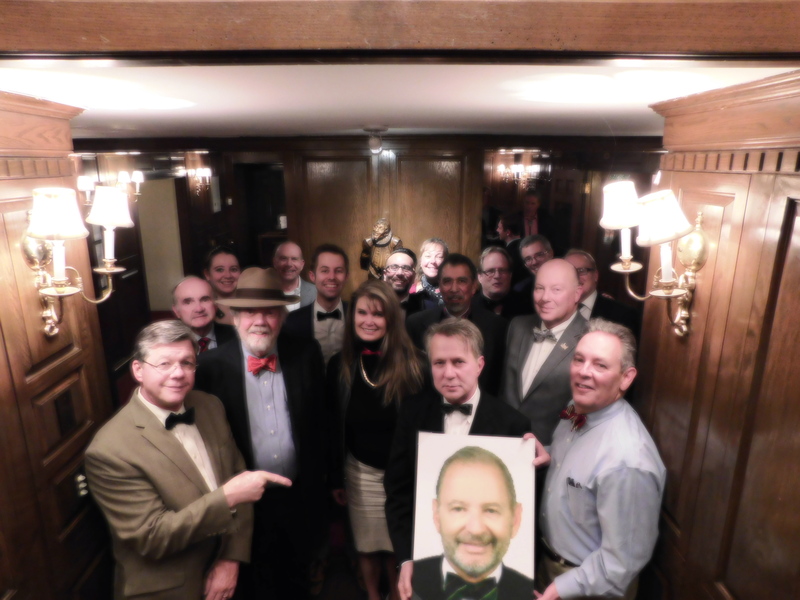 Members shared their fond and funny memories of Bob, and many paid homage to Bob’s memory by wearing bow ties to the meeting! At the meeting, the members unanimously voted to rename our mentorship program The Robert Gifford Heiserman Mentoring Program in tribute to Bob’s extraordinary contributions to mentoring young lawyers both within the Inn and in the legal community at large. Stuffed Animal Drive for 1st Responders– October & November. Bring a cuddly stuffed animal or two for our drive. These will be delivered to 1st Responders, who will use them to comfort toddlers and children they might encounter on accident scenes or domestic violence responses. Professional Clothing Drive (Lightly Used)– February & March. This is our annual drive to assist those in need of professional attire. If you have a suggestion for a service provider or charity who could utilize these items this year, please contact Ellen at ellen.giarratana@judicial.state.co.us. 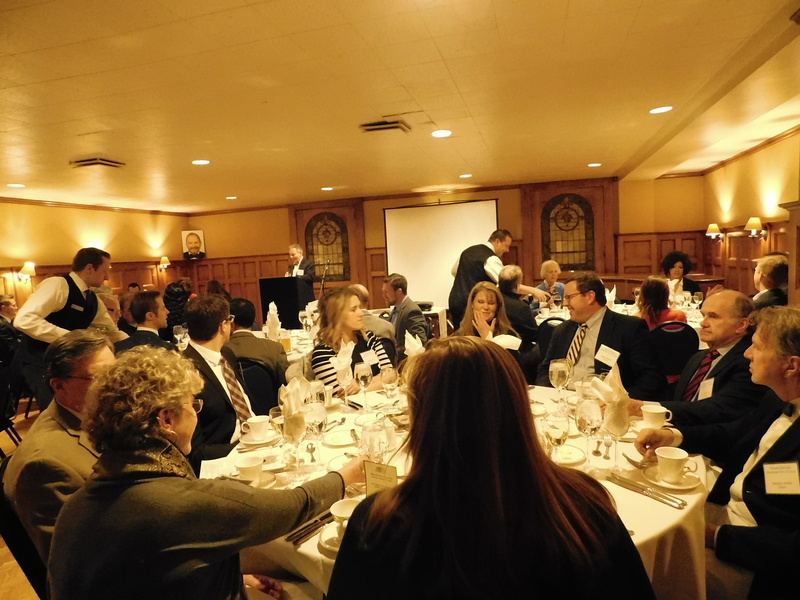 The American Inns of Court Program Awards recognize exceptional programs created and presented at local Inn meetings between July 1, 2017 and June 30, 2018. The top three programs are recognized with plaques that are presented at an Inn meeting and with special lapel pins presented to each member of the pupilage team that presented the program. Colleagues – I would like to invite you to the first in a series of informal trainings sponsored by the Doyle Inn focusing on basic practical skills in civil litigation. We are applying for 2 CLE’s for each of our sessions. There is no charge for attendees. The first session will be held from 4:00 – 6:00 PM on October 18, 2017 at the downtown office of Wheeler Trigg O’Donnell LLP, Republic Plaza, 370 17th Street, 45th Floor, Denver, CO 80203. It is titled Taking and Defending Depositions – What You Need to Know. This session will offer practical advice and suggested models for taking and defending depositions. The remainder of the 2017-2018 sessions are set forth below. Negotiation, Settlement and Alternative Forums for Resolution: What You Never Learned in Law School, November 15, 2017. The session will help young attorneys learn more about early evaluation of a case and examine ways to resolve cases early in litigation and provide an overview of the various forums for resolution of cases. So You Are Going to Be Witness –Now What? December 20, 2017. This session will focus on the successful preparation of witnesses to testify at deposition and trial in civil cases. Direct Examination – How Do You Do It? January 30, 2018. This session will focus on the conducting direct examination of witnesses at deposition and trial in civil cases. Cross Examination – What You Need to Know. February 21, 2108. The will provide young lawyers with practical advice on cross examining a witness at trial. How to Navigate Private Practice-What You Need to Know- A Panel Discussion. March 20, 2018. This session will focus on what lawyers need to know before entering into private practice. Legal Writing –Process and Product. April 18, 2017. This session will focus on effective legal writing and improving persuasion skills through writing. A View from the Bench: Practical Advice for Young Lawyers, May 16, 2017. A panel of judges from state and federal courts will offer their perspective on what young lawyers need to know. The summer BBQ is set for May 19, 2017 starting at 6:00pm. Families are welcome. A Pingg will go out with details.